Two wheelers have become a part of our lives nowadays in India. Even though riding a two wheeler is a thrilling experience for all of us, it is also susceptible to road accidents. Paying for very expensive repair costs and deal with accidental damages can hamper both your peace of mind and finance. In order to steer clear of such a scenario and enjoy total peace while riding your two wheeler, it is advisable to opt for HDFC ERGO two wheeler insurance policy. HDFC ERGO two wheeler insurance policies are designed to cover all types of scooters and motorcycles plying on the road. To talk about the background, HDFC ERGO General Insurance Company Limited is a joint business enterprise between HDFC Ltd. and ERGO International AG, a Germany-based company which is a division of the Munich RE Group. HDFC holds 51%, and ERGO holds the other 49% of the business shares. HDFC ERGO General Insurance Company operates in 91 Indian cities with over 108 branch offices and 2,000+ employees. HDFC ERGO bike Insurance offers both third party and comprehensive insurance policies. The company also offers long term comprehensive two wheeler insurance for scooters and bikes too. Apart from the services offered, HDFC ERGO two wheeler insurance also offers effective add-on covers such as Zero Depreciation, Emergency Assistance etc with additional premium payment. You can easily purchase or renew HDFC ERGO two wheeler insurance online from the company’s website and get instant quotes as well. HDFC ERGO insurance offers their policyholders a host of unique benefits and features. Undoubtedly you can become a gainer by opting for HDFC ERGO two wheeler insurance policies. Some of the best advantages of HDFC ERGO bike Insurance policy are below. Quick Approval:The estimated approval time period for HDFC ERGO two wheeler Insurance is contained by 24 hours, of the vehicle reaching garage. Buy HDFC ERGO Bike Insurance Online for Added Convenience: You can instantly buy or renew bike insurance from HDFC ERO on the go by using the company’s user-friendly mobile app. No Claim Bonus: You can avail attractive discounts in the form of No Claim Bonus (NCB) on the premium at the time of renewal for each claim free year. 24*7 Support: Round the clock support is provided by HDFC ERGO insurance for a hassle-free experience and more convenience. Zero Documentation:In order to buy HDFC ERGO two wheeler Insurance policy you don’t need not go through any lengthy procedure. HDFC ERGO General Insurance Company Is Trusted By Millions: The Company is serving over 75 lakhs happy customers; HDFC ERGO is a renowned brand name for taking care of all your insurance needs. Quick and Transparent Claim Settlement Process:The motor insurance claims are settled with extreme transparency and promptness by the HDFC ERGO General Insurance Company Limited. Instant Policy: Since the company provides quick approval and paperless documentation, you can easily and instantly download your HDFC ERGO two wheeler Insurance policy document my making successful payment of premium. Cashless claim service:There as many as 4800+ authorized network garages registered under the company all over India from where you can avail cashless claim services. There are two types of plans available under HDFC ERGO two wheeler insurance policies namely Third-party Liability and Comprehensive Policy. Third Party Liability:HDFC ERGO third party two wheeler insurance policy takes care of the legal liability in the event of an accident involving your vehicle. This plan covers the legal liability and pays a limited compensation. Following are the risks that the policy covers. ✔Death or bodily injury to a third party. ✔Third party property damage to the surroundings. Comprehensive or Package Policy: The comprehensive bike insurance plan by HDFC ERGO General Insurance Company takes care of both the legal liability and own damage. HDFC ERGO also offers long term two wheeler comprehensive insurance policy with special benefits. Following are the risk factors that the policy covers. ✔Protection against Fire, lightning, explosion, self-ignition etc. ✔Covers manmade calamities such as Riots and Strikes or any other Any Malicious Acts. ✔Damage during transit by road, rail, lift, elevator, inland waterway, air etc. ✔HDFC ERGO two wheeler policy covers any damage or loss to the insured vehicle in the event of an accident. ✔Any damage due to various Natural Calamities such as Typhoon, Earthquake, Landslide/Rockslide, Tempest, Flood, Hurricane, Storm, Cyclone etc. ✔HDFC ERGO two wheeler policy provides personal accident cover for the owner/driver in case of an accident involving the insured vehicle. The owner/driver is insured for Rs. 1 lakh in case of an accidental death or physical disability. It’s important to consider HDFC ERGO two wheeler insurance renewal with special significance. You should renew your HDFC ERGO bike insurance policy before it expires to keep enjoying the benefits of your motor insurance plan. The process of HDFC ERGO two wheeler insurance policy renewal online hardly takes a few minutes. It’s advisable to opt for long term two wheeler plan for your bike or motorcycle when you go for HDFC ERGO two wheeler insurance renewal. Below are the steps for easy HDFC ERGO bike insurance policy renewal online. ✔Log into the official portal of HDFC ERGO to renew your bike Insurance online. ✔Choose your preferred insurance plan by clicking on ‘Bike Insurance’ tab for HDFC ERGO two wheeler policy renewal. ✔You will be diverted into a new page. Click on the ‘Instant Renewal’ option for HDFC ERGO two wheeler insurance policy renewal. ✔Enter your HDFC ERGO bike Insurance policy number and click on ‘Go’ to renew your HDFC ERGO Two wheeler insurance online. ✔After that, you will have to fill a digital form by entering your personal and vehicle details to complete the renewal procedure. ✔To complete your HDFC ERGO two wheeler insurance renewal online, you will have to pay the premium through net banking or credit or debit car. ✔Once the premium has been paid online, you will be successfully done with the renewal of HDFC ERGO two wheeler insurance online. You will be forwarded a renewal confirmation mail and you can download and save the renewal documents for future use. Here’s a list of conditions that are not covered under HDFC ERGO bike insurance. ✔Damage caused by driver/s not holding a valid license. ✔Any damage caused due to intoxication. ✔Damage caused due to war or war related activities. 1.Which is the best bike insurance that I can take for a new bike? The bike insurance coverage may vary from one bike insurance company to another. You will have to shop around a little, compare various bike insurances offered by different motor insurance companies online to get the best bike incurrence that you can take for a new bike as per your requirements. 2.Will there be any problem if there is wrong year of manufacture on my bike's insurance policy in India? If you have a wrong year of manufacture printed on your bike’s insurance policy, it may turn out to be a huge problem when you make a claim, you may also face the rejection of your claim. You should modify the wrong year of manufacture on your bike’s insurance policy. You can call your motor insurance provider’s customer support or mail your insurer regarding the modifications. The insurance company will make necessary changes. It is strictly recommended that you correct such printing mistake regarding your motor insurance policy. 3.Is it necessary to pay a fine for not having bike insurance to the police? As per Indian Motor Vehicles Act, 1988, it is mandatory to have at least third party insurance for any vehicle, be it a bike or a car. So if police catches you riding a bike without any insurance, you are liable to pay fine. 4.Should my bike insurance be renewed when I go for a driving test? 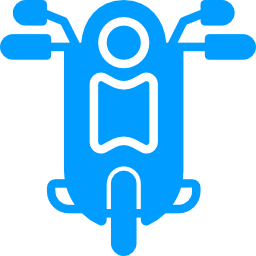 Yes, it is necessary that your bike insurance is renewed when you go for a driving test because you will be allowed to attend the test only after the RTO has checked and verified your bike insurance papers. 5.Can I claim my bike insurance if I do not have a driver’s license, but it was my friend who was riding the bike and they have a license? 5. If the bike insurance is on your name and you do not have the driver’s license, you can’t make a claim since you were not the one who was riding the bike. Insurance can only be claimed by the owner of a vehicle when they are riding in it.